Why not take a break from Ibiza’s vibrant party scene this summer and explore the island’s collection of more tranquil restaurants and beach clubs? There is a multitude of venues that provide a relaxing atmosphere, breathtaking views and some simply fantastic gastronomic delights – perfect to visit whilst on a luxury yacht charter. The Mediterranean is one of the most popular yacht charter destinations in the world with many diverse landscapes and cultures to explore. Here are our top three yacht charter destinations in the Mediterranean Sea. Three Reasons to choose Ibiza for your next Yacht Charter! Ben and Charles from the Boatbookings.com team have just returned from Ibiza after an unforgettable trip checking out the hottest boats and hottest places to be for this summer. They were bowled over not only by how much it lives up its reputation, but also by the unique offering Ibiza has in comparison with other charter destinations around the world. They’ve put together their top 3 reasons to head to the world capital of hedonism! 1. Incredible nightlife. The reason Ibiza has been and still is the top destination for party-goers worldwide. Famed nightclubs include Space, Amnesia, Privilege, Pacha, Sankeys and Es Paradis. Each club has a world-famous mega DJ as a resident on a nightly basis giving you massive goody bag of global superstars to choose from every evening! Whether you’re in the beautiful San Antonio bay or striking Ibiza town there’s a mix of charming old Spanish bars, chilled beach clubs and booming nightlife on every corner. 2. It will surprise you! Whilst Ibiza is famous for its booming towns and attracting the young, rich and famous to let their hair down, a vast area of the island is in fact protected National Parkland. This means in between enjoying the most hedonistic holiday of your lifetime you can really enjoy that ‘getting away from it all’ feeling. 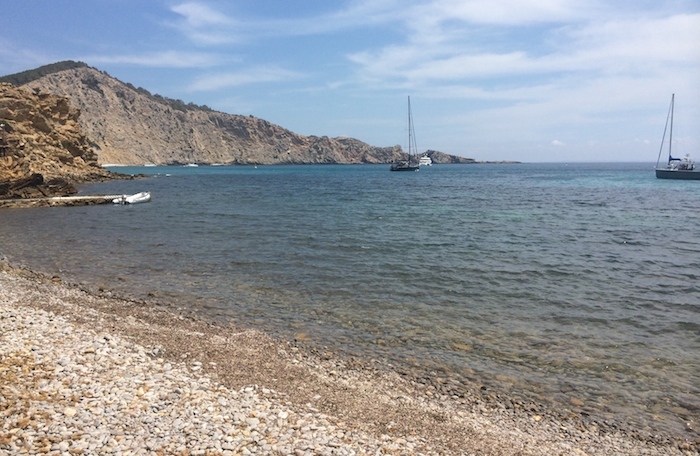 Ibiza boats many beautiful, secluded and almost deserted bays in which you can anchor and relax on an empty beach or if you’re lucky find a rare beach club and enjoy lunch with your feet in the water. 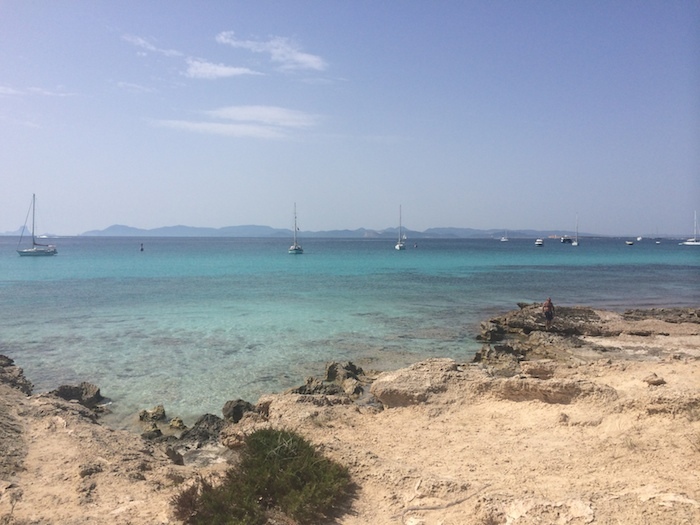 As well as this, just a short cruise along the coast you’ll find Formentera, also known as the “Pine Islands.” Beautiful white sandy beaches with turquoise, shallow and crystal clear waters await you in this quiet and tranquil paradise. Isolated anchorages provide the perfect place to enjoy the stunning backdrop of the golden sandy islands. 3. The coolest boats! 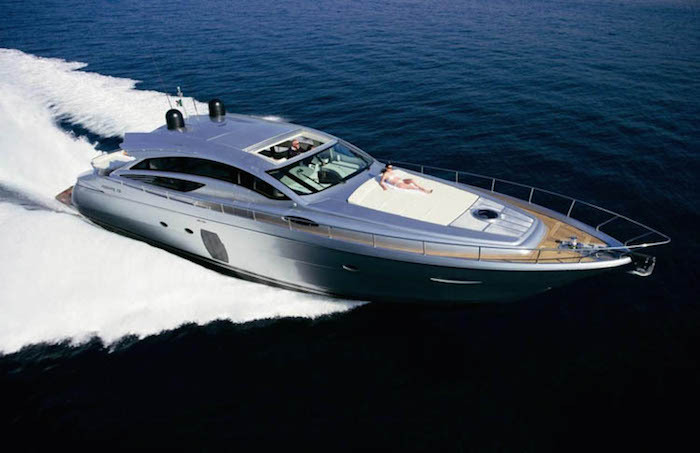 With the stylish lifestyle comes the most stylish yachts. The VIP section of Marina Ibiza is a feast for the eyes, with the high specifications everywhere you look. Two of our favourites are SHALIMAR and ALVIUM! Perfect for day ,weekend or week-long charters they’re in prime positions near to the famous Lio’s restaurant and club and just a stone’s throw from Pacha. They’re gorgeously styled, super-quick and fit perfectly with the Ibiza lifestyle. 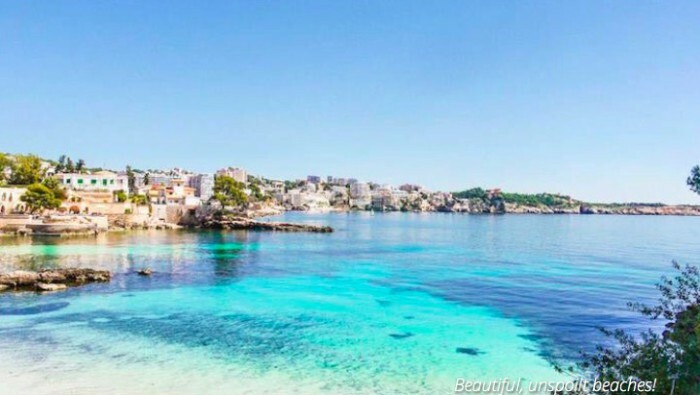 We loved Ibiza, and we think you will too! 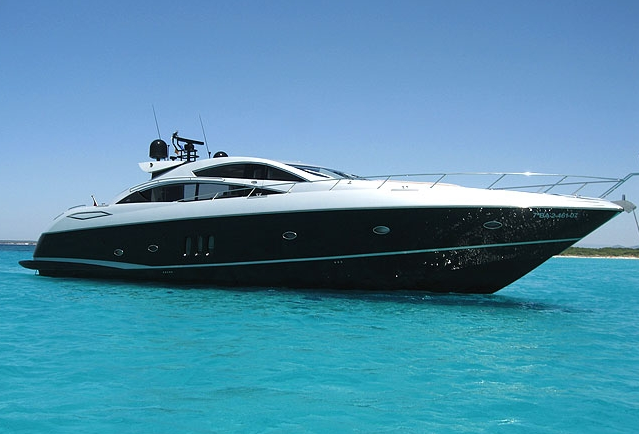 Contact us for more information on chartering in this incredible part of the Mediterranean. 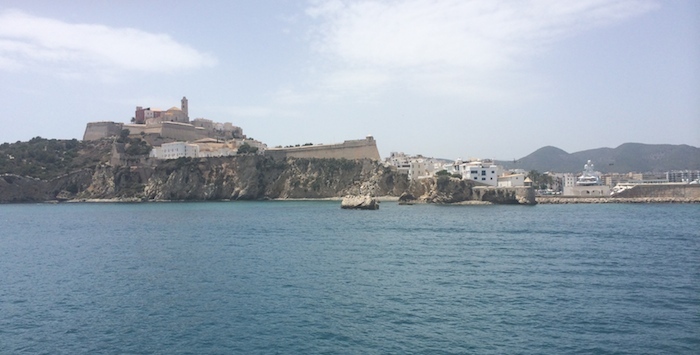 Explore Ibiza’s quiet side: Charter a Yacht in Tranquil Waters. Ibiza’s coastline, with its sun drenched beaches and idyllic scenery, makes chartering a yacht around this spiritual island a must! 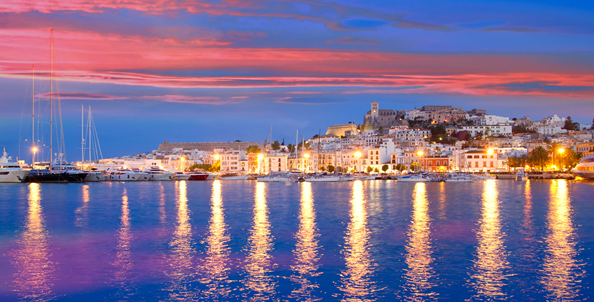 Ibiza’s renowned flair and cultural vibrancy attracts travellers from throughout the world. Hip, fashionable and liberal attitudes are plentiful. This World-Heritage site boasts spectacular architecture along with an abundance of rich sea life. However, one must not forget that this is the birthplace of rave music, attracting dance and music lovers for decades. The colourful atmosphere of Ibiza’s old town combined with the open-air clubs and bars of San Antonio and Playa d’en Bossa, make this a perfect holiday destination for anyone. 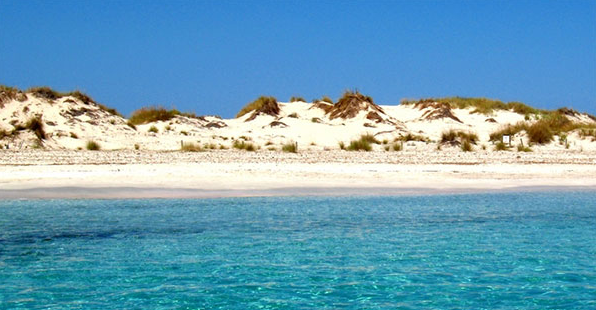 The White Island’s sister island, Formentera, is known for its spiritual and healing properties. The Gecko Beach club is one of Formentera’s premier luxury hotels. Palm trees, ambient music and beautiful people provide a perfect and gentle setting to practice in the art of meditation. Classes run from the Monday evening until Friday morning, allowing time for a weekend of excitement. Ibiza is known for its glorious sunset. The West Coast boasts many spectacular vantage points for this special occasion. Cap d’es Falco can be found along a bumpy dirt track in the protected national park of Ses Salines. This fine-dining Italian restaurant is an excellent location to watch the deep reds and light oranges of the sun, slowly fade away. 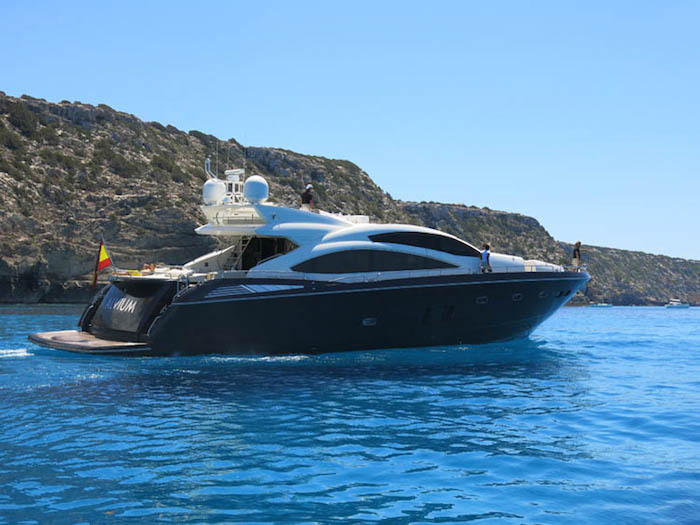 This Sunseeker Predator 82 luxury crewed motor yacht, GEORGIA, accommodating up to 8 guests in 4 double en suite cabins, is ideal for cruising the coast and holidays around the Balearics and the Costa Brava. She exudes elegance and style. The interior is extravagant, chic and the master bedroom is very inviting. The array of on board water toys will not disappoint. At Boatbookings,we organise luxury yacht charters all around the world with our highly qualified team. We leave no stone unturned in matching not just the yacht and the destination to your requirements but also the crew, itineraries and all other subtle aspects that comes together to create a charter of a life time! At Boatbloggings, we keep up to date with the latest industry show releases, news and gossip in the yachting world. If you liked the content on this page and our previous posts, please become a fan and like our Facebook page to receive up to date information on our publications. Follow us on Twitter and Google Plus too.